It’s main claim to fame is the hero being so jacked that he’s invented some of his own muscle groups around that loin cloth. That and the understandably surprised looking monster… While the background looks a whole lot like the actual cover art, it has in fact all been redrawn when you compare it to the real thing. The actual UK release looked near enough the same as the USA one but I reckon I actually would have preferred this as the cover art. Were there any others that I’ve missed? Please let me know if so. 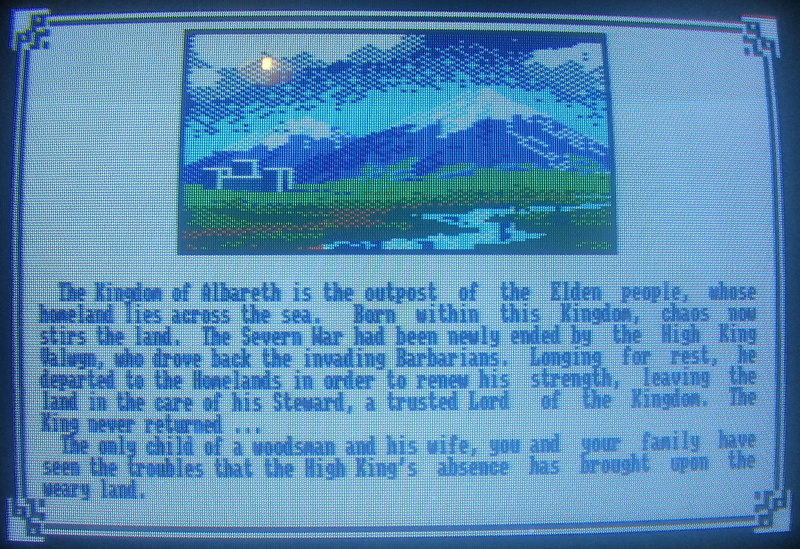 I’m not going to get chance to start SNES Ultima 7 for at least a couple of weeks so I thought instead I’d have a quick look at the only game Origin ever put out for the Amstrad CPC which was a port of Chris Robert’s Times Of Lore. 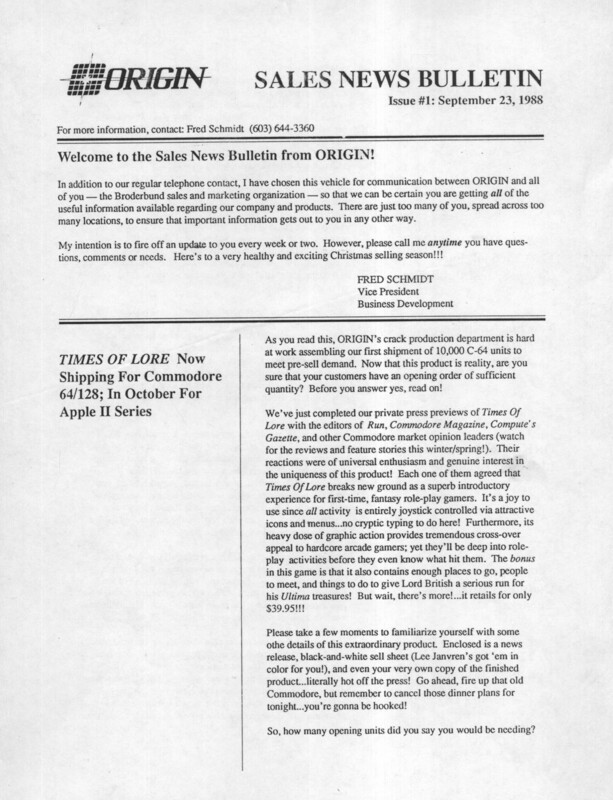 Times Of Lore was in development prior to Chris Robert’s joining Origin and he was targeting his home UK audience who for the most part didn’t have disk drives. 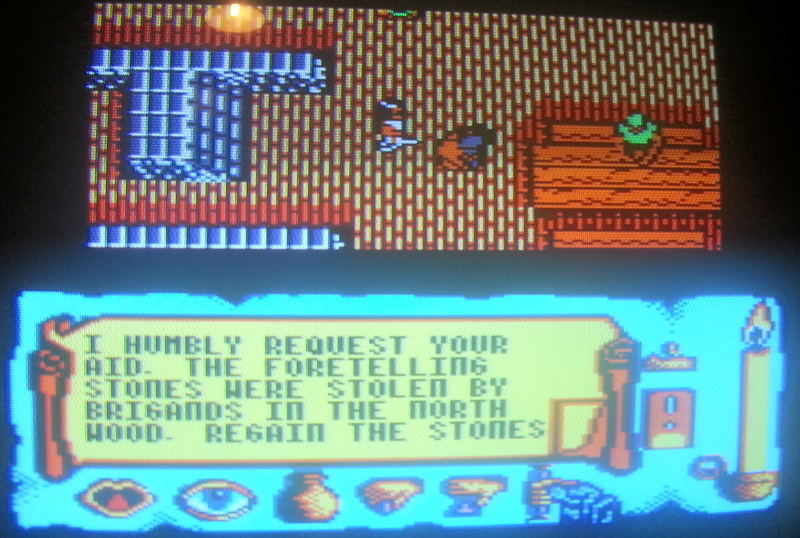 This meant it was originally designed to be loaded by tape on a C64 which ultimately made it possible to port the game to two of the more European based computers the ZX Spectrum and the Amstrad CPC. 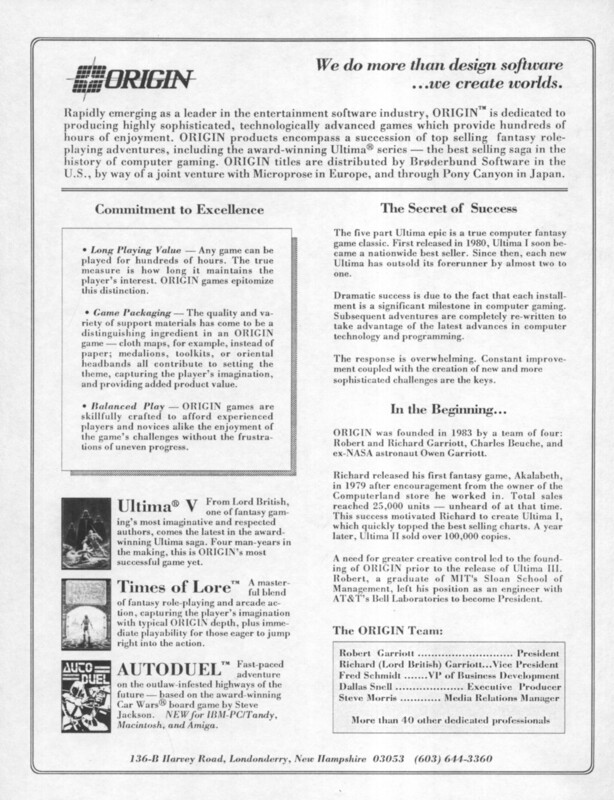 It’s quite a different design philosophy to that typically used by Origin whose games had always been large multi-disk affairs right from the beginning. 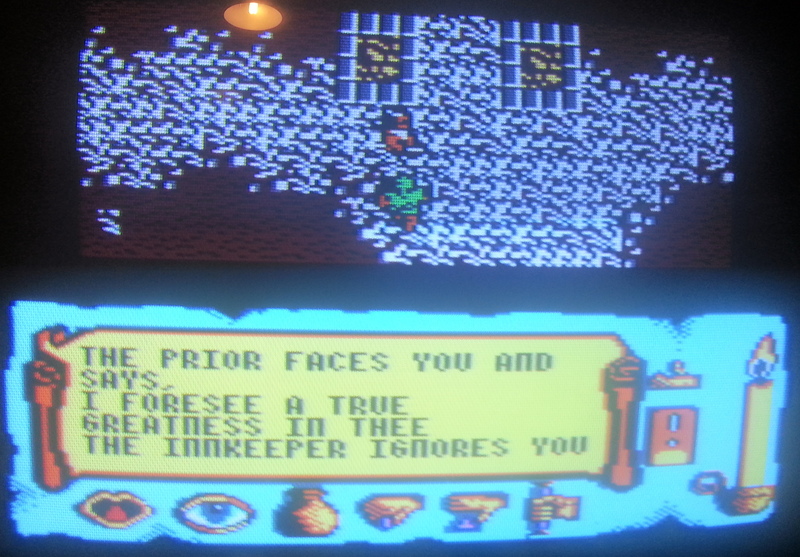 This divide was very much evident between many US and UK games houses in general in the 8 bit era. 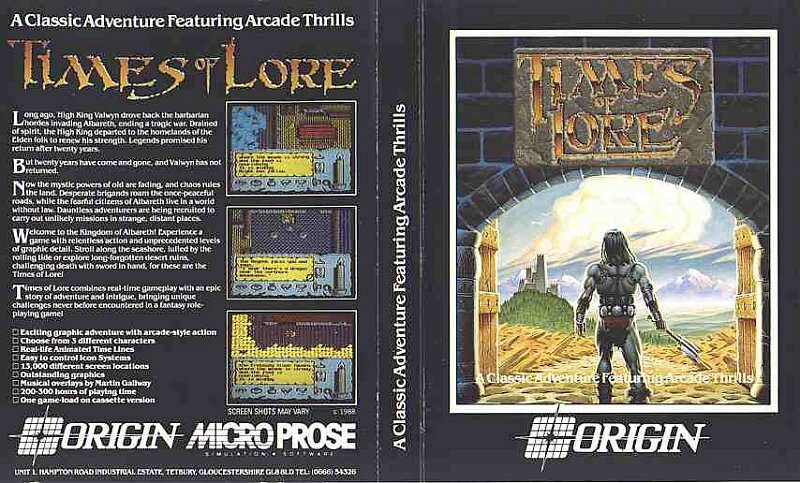 It was only a handful of months later that Times Of Lore saw it’s release however on cassette and disk for CPC both of which are essentially identical except for the difference in loading times. Either was still mercifully faster than Robert’s previous game Stryker’s Run on the BBC Master which I can report from experience takes around 15-20 minutes to load off a tape giving it the longest loading time of any game I’ve ever come across. Initial impressions of this port are mixed. All of Martin Galway’s title and intro tunes are present along with the all the introduction graphics. 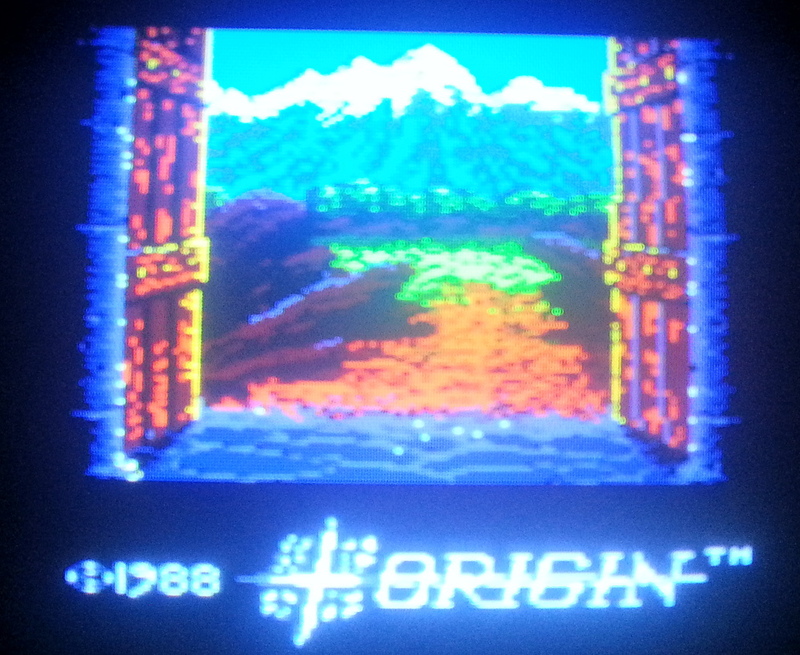 Some of the graphics conversion could have been done better with the Origin logo looking particularly shoddy but the music sounds pretty decent through the Amstrad’s 3 channel beeper. The music was missing altogether on the ZX Spectrum from what I recall which is something of a loss as it’s probably my favourite thing in the whole game. Once I’ve selected my character, the game proper loads in with the entire thing fitting into memory at one go with no need to ever load maps. The colours on the Amstrad are far better than those on the ZX Spectrum port and are pleasing enough to the eye. 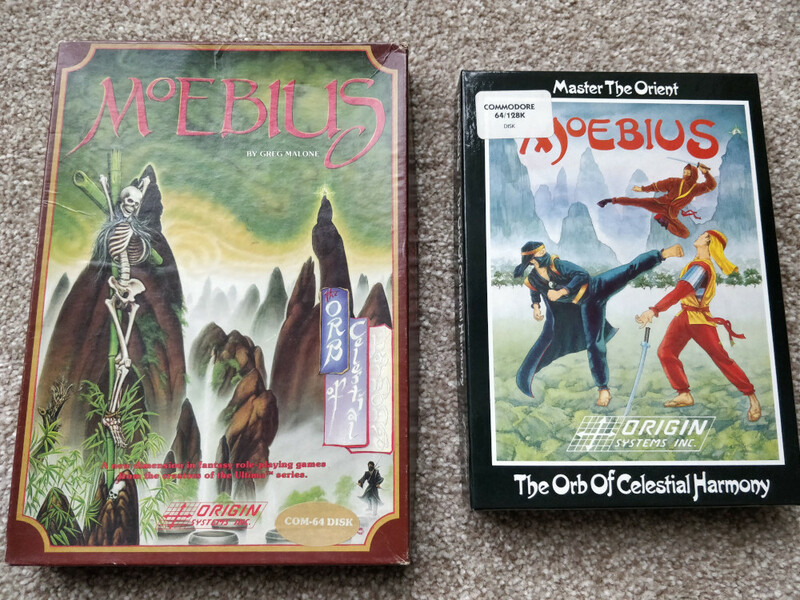 Both of these ports had a larger viewing window than the DOS version but smaller than the C64 original. The clarity of some of the sprites again leaves something to be desired and it’s not often easy to make out exactly who or what someone is, e.g. the monk in the left hand screenshot above. The worst example I saw is the green “things” that attack in the forests. Without digging out another version of the game to compare I can’t hazard a guess as to what they are – there is actually one below my character in the screenshot above which any casual observer would mistake for a patch of grass. When they are walking on grass these things are just about invisible. The Amstrad was quite a capable machine graphically and this sort of thing could easily have been fixed. 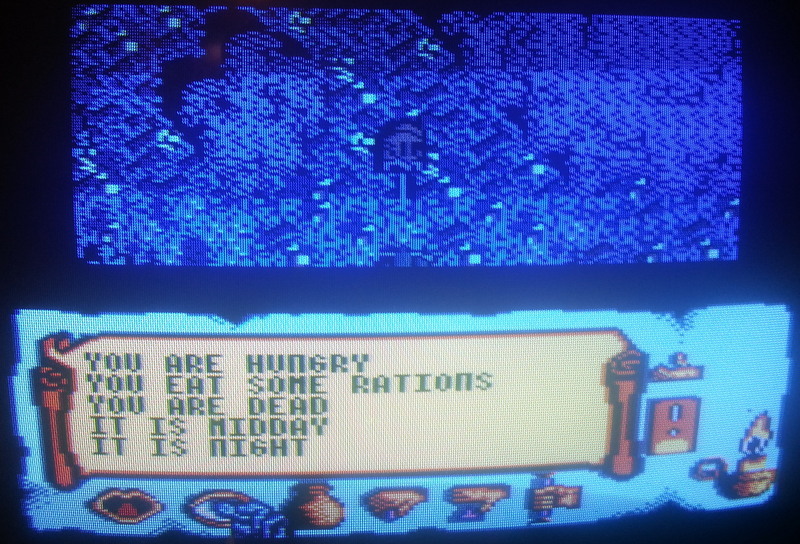 It smacks of short cuts being taken when converting the sprites from the C64. 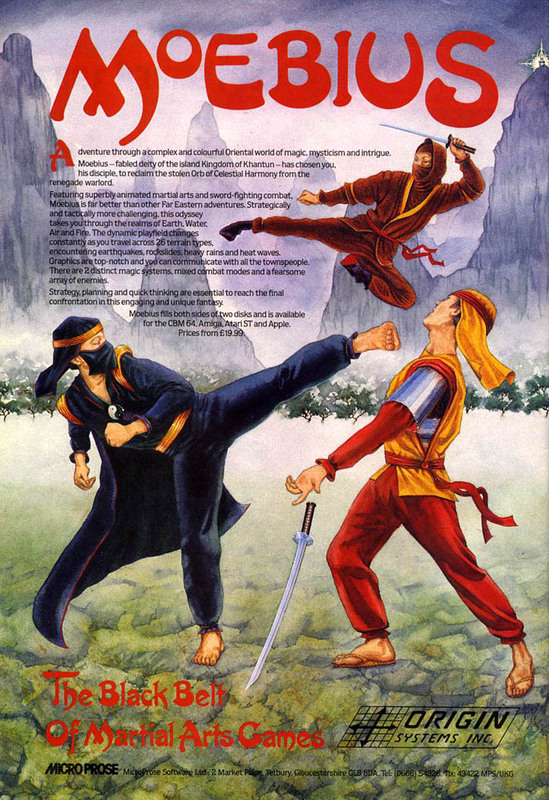 Another gameplay issue is that the fire button is the same to select from the menu, to go the next page of conversation text and to swing your sword. In combination with key presses being stored and a certain amount of lag in the game, this inevitably means that you end up taking a swing at the first person you talk to. The control scheme is an attempt to cope with a one button joystick no doubt but should have been tweaked when using the keys. The pace of the game is fairly slow but after a few minutes to adjust I did start to relax into it and enjoy it for what it is. 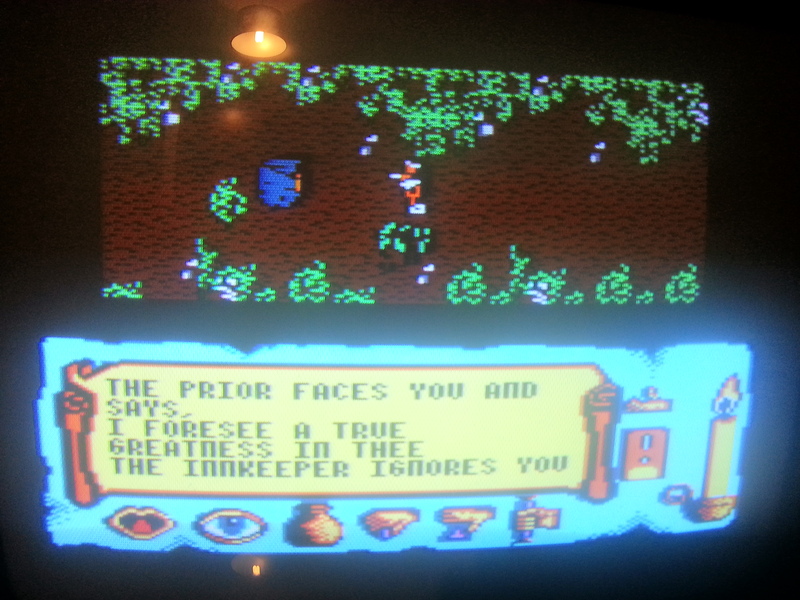 Graphical differences aside, this is nearly the same as the DOS port and perfectly playable if a little uninspiring. It could certainly do with some in-game sound being entirely silent after all the glorious intro music. 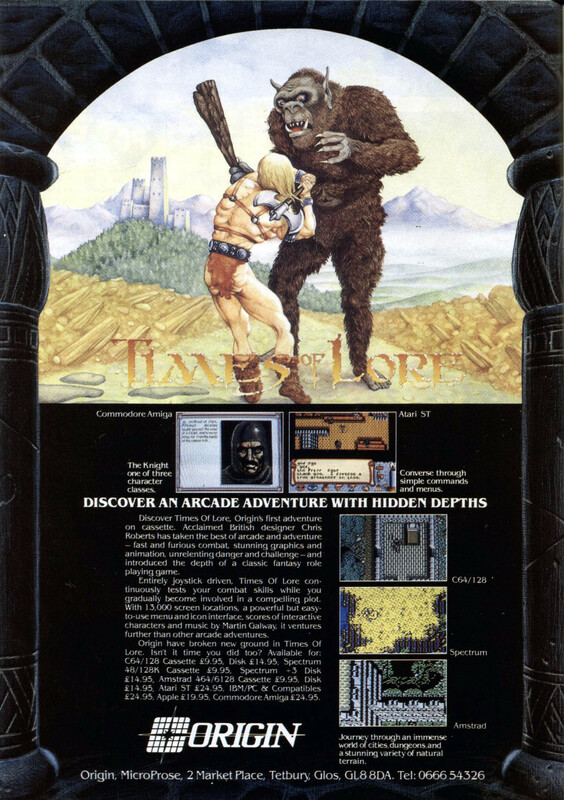 One difference to the gameplay I did notice is that I remember learning to avoid combat after playing the original in DOS with monsters being endlessly spawned just off-screen while in the wilderness. The enemies are so easy to avoid in this version that it’s more a case of having to look for them or at least stand still until they catch up. This could well be a plus point if I was keen enough to try to finish the game as they ultimately end up just getting in the way. Updates have been thin on the ground here recently which is likely to continue for a while. I tend to be all or nothing with most things and my enthusiasm for blogging has been waning recently. I had thought about taking a complete hiatus but I’ll just reduce posting to as and when I feel the urge instead. The main distractions are work and a huge backlog of games crying out for my attention. Having offered far too much money for her Kickstarter, I’ve been playing Jane Jensen’s Gray Matter most of the last week which I’m seriously enjoying. I’m a sucker for point and clicks and this is a about as traditional as it gets, with the sort of involving storyline I would expect from Jensen. When I get that finished, I have near enough the entire catalog of Legend sat on a shelf unplayed which I intend to make a start on. 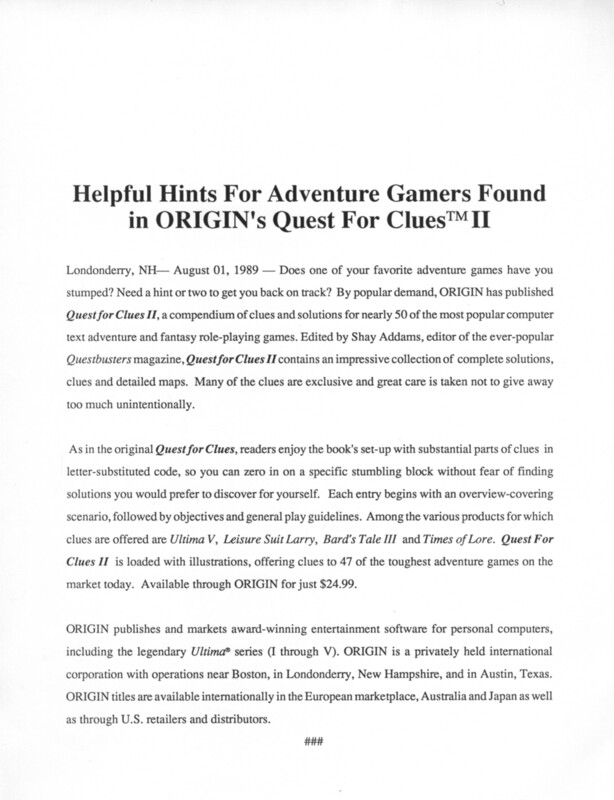 The second scan is a press release for Quest For Clues II from August 1st 1989. This appears to be a test run as it’s not on the usual headed paper and would probably have had a further product spec. on the back. Today is the 30th anniversary of the ZX Spectrum. Anyone who has ever stumbled across my Youtube channel will know that I hold a soft spot for this computer and I couldn’t let it pass unmentioned. The Speccy was a quirky machine with a rubber keyboard, colour clashing graphics and a basic beeper for sound but it was cheap and easy to program and spawned an amazingly large and varied library of games because of it. It never became that popular outside its native UK but there are plenty of us over here who grew up with it. 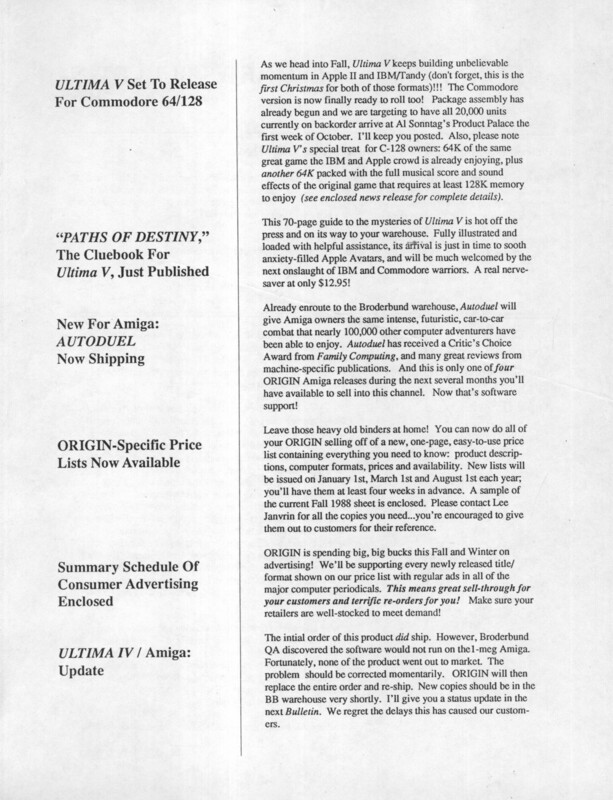 You may think I’ll struggle to tie this into Origin, but they did in fact release one game for the Spectrum which was Chris Roberts’ Times Of Lore in 1989. 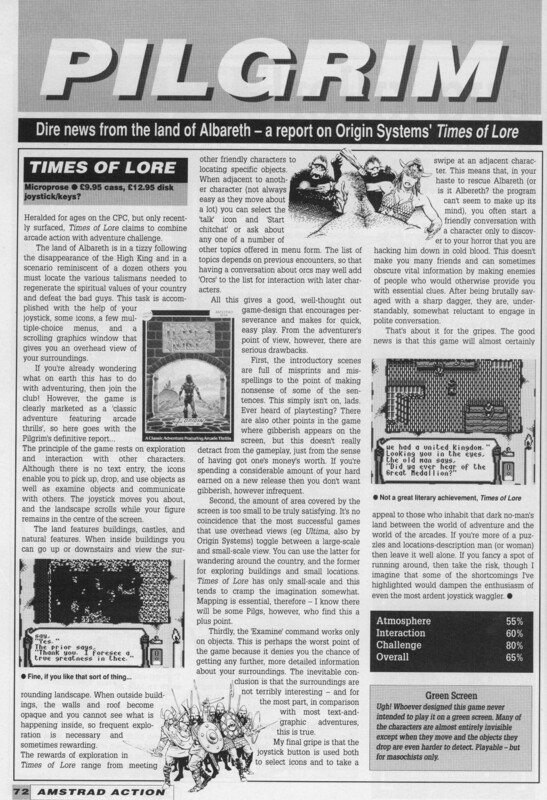 Times Of Lore was started on the Spectrum’s main competitor (the C64) before Roberts joined Origin making it a more likely target for porting than the usual sprawling Origin games. The conversion was done out of house in the UK by Imagitec. In honour of the occasion, I thought I should dig out the Spectrum emulator and give this port a quick go. The game had both disk and cassette versions and I’ll be playing the later. 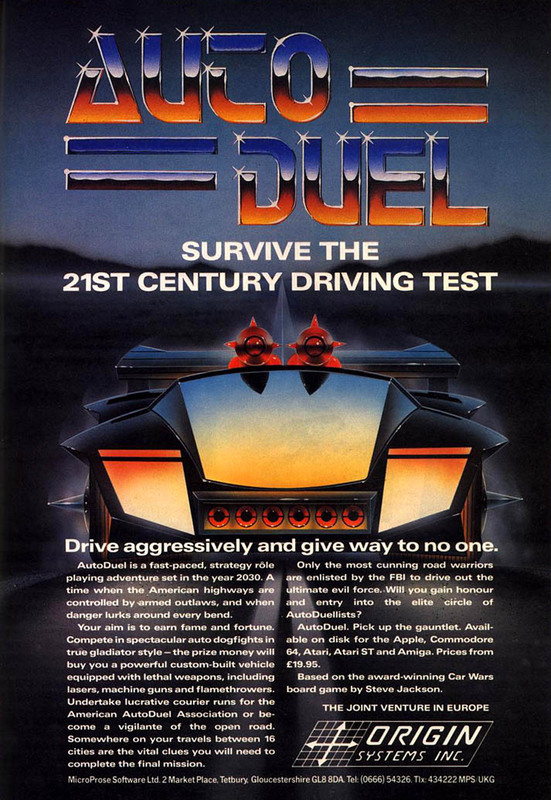 This is actually the only Origin game I can think of that ever came on cassette (feel free to correct me here if there were others). 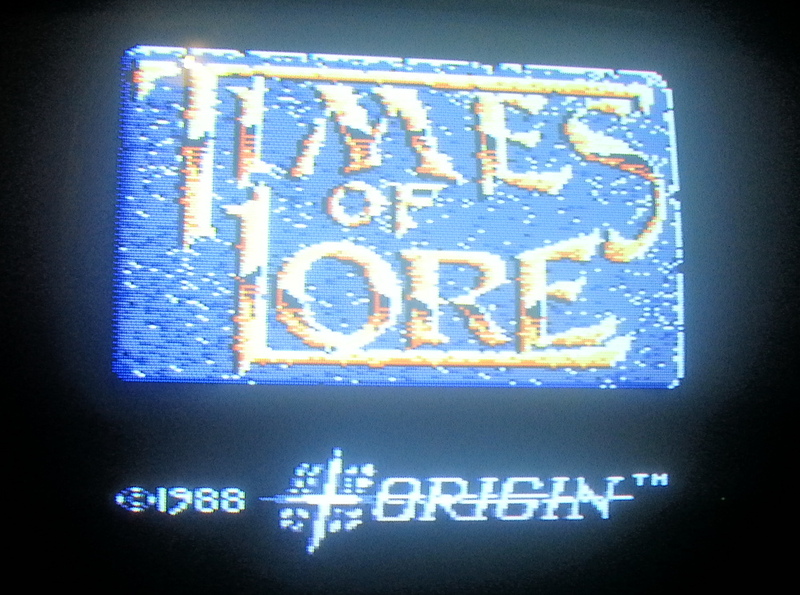 Times Of Lore is a lot of game to fit on a 48K machine. It requires multiple loading (never good on a cassette) and there isn’t any sound. In pre-emulator days this loading would have taken ages but if you had the patience this appears to be a very close clone of the game I played on the PC. It even has the intro, although I do miss Martin Galway’s music. If you fancy trying out some ZX Spectrum games head on over to World Of Spectrum where there are over 10,000 of them waiting to be downloaded.